Twelve hours, two boys, one girl . . . and a whole lot of hairspray. 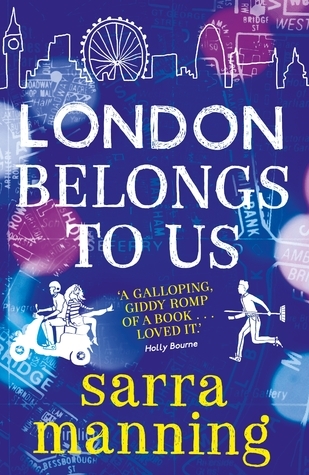 A fast-paced, darkly funny love letter to London, boys with big hair and the joys of staying up all night. Fabulous stuff. I am an unashamed Sarra Manning Fan Girl. I have adored her work since her J17 days and I am so pleased that I got the opportunity to read this book. I loved how diverse the characters were. The main character Sunny is mixed race and it was really interesting to see the impact that has on the way in which she is treated by some of the secondary characters in a world that should be well past making racist assumptions about others. Special shout out has to go to Sunny's roller derby team. I love that there is a UKYA book out there with a roller derby team featured. I enjoyed that the book plays out almost in realtime making it a really intense adventure which you live along with the character as each event plays out. I also really enjoyed The Tour of London you get across the evening as each part of the book takes part in different parts of the city. The story captured those differences well and showcases the real diversity that can be found in one city. The real geeky part of me really loved the facts about the different areas that prefaced each section. All in all a really exciting adventure which I really enjoyed. 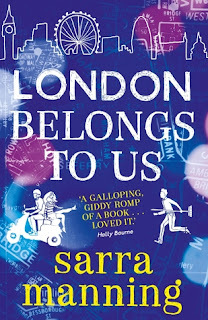 I so need to read this - "a love letter to London" is enough to sell it to me but add in Sara Manning and I'm desperate!